The Government of BC has initiated development of a clean growth strategy, which aims to pull together climate action, clean energy and sustainable economic growth for the province. British Columbia has reason to be proud of its early climate and energy leadership—notably catalyzing local government action through the Climate Action Charter and mandatory targets, policies and actions in Official Community Plans. The intensity of climate action and diversity of best practices by local governments across B.C. is unmatched anywhere in Canada, potentially North America. These provincial and local policy innovations have influenced jurisdictions across North America. Provincial and local government action has helped put building and waste sectors greenhouse gas (GHG) emissions on a clear downward path. B.C. is, nevertheless, off track to reach its GHG reduction targets. Road-based transportation GHG emissions—the biggest source of emissions by far—continue to rise. There are immense opportunities to advance key provincial and local priorities through an effective, integrated clean growth agenda. B.C.’s current pathway and the proposed provincial intentions are inadequate to drive deep GHG reductions. They may also fail to realize the full potential of advancing efficiency and renewables, strengthening the economy, cutting congestion, and addressing affordability. The clean growth agenda can and must connect these dots—and must fully harness the potential of local governments in order to succeed. While it is encouraging to see the link between climate action, economic development, and cleantech growth in the Government of BC’s Intention Papers, there is significant room for improvement. Renewable Cities has made formal recommendations for two sectors identified in the Government of B.C.’s engagement process (transportation and buildings), with the expectation of providing further feedback. Given the nature of B.C.’s emissions profile, we propose affordability and transportation efficiency as key pillars of any clean growth strategy. We recommend a set of clear criteria be used to evaluate and optimize actions in order to maximize economic and social benefits. We also suggest that the province move decisively to complete and begin implementing a plan that lays out a pathway, along with quantified costs, benefits and GHG reductions by action. You can see our submission here or read the highlights below. Generally, California’s approach to transportation is notable. Senior levels of government focus on decarbonizing fuels and improving vehicle efficiency while local governments direct their efforts towards reducing driving distance and mode shifting. This is done through integrated transportation and land use planning, supported by senior government investment. Zero emissions vehicles (ZEV) will be a fundamental part of B.C.’s renewable energy-powered transportation system. 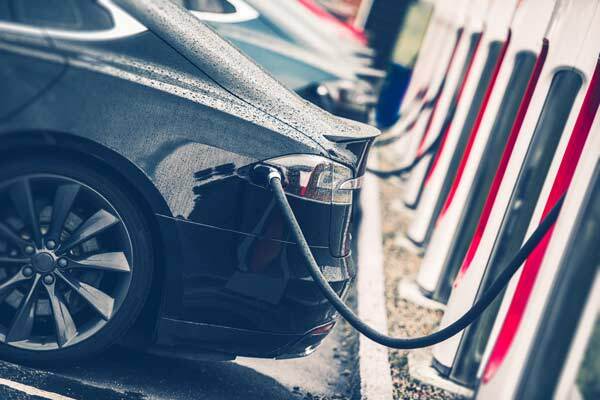 The Government of BC should adopt a requirement for all automakers to provide ZEVs to the market, and set a schedule for phasing out for internal combustion engines for passenger vehicles. We recommend legislation requiring auto dealerships to provide ZEVs on lots and a PST exemption for all zero emissions vehicles (and charging infrastructure), including for bicycles and relevant storage infrastructure. Further, the government could take two more steps by: 1) requiring that all new buildings supply charging infrastructure and 2) providing guidelines and incentives for local governments to create preferential parking for ZEVs. One major potential opportunity for the province to consider is the development of a “Renewable Roadways and Blueways Network.” Such a network, developed over strategic routes across the province, would facilitate the deployment of electric vehicle charging infrastructure and biofuel refueling stations for freight and heavy-duty activity. Fossil fuel-derived transportation fuels are a major source of GHG emissions and B.C. took major strides forward by adopting its low carbon fuel standard (LCFS) a decade ago. Now is the time to build on this success by extending the standard to all mobile and stationary consumption and increasing its requirement to 15 per cent by 2030. The Government of BC should consider extending the LCFS to 20 per cent in 2020. We also recommend that B.C. follow the Nordic countries’ lead in supporting renewable natural gas and biodiesel (in the short and medium-term) for heavy-duty vehicles and by providing tax exemptions for biofuels. It should also support a “Renewable Fuels Centre of Excellence” that focuses on commercialization and hurdling immediate technical and policy barriers. There is a tremendous opportunity for local governments to contribute to the development of renewable natural gas (RNG). Later this year we will be publishing research that outlines how local governments can deliver up to one million tonnes of GHG emissions reductions annually by working with utilities and private sector partners to convert local organic and liquid waste into biomethane or RNG. To realize this potential, the Government of BC must strengthen the policy environment, enabling the province and local governments to consolidate its leadership in cutting edge, sustainable waste management. The province has a huge opportunity to build on made-in-B.C. 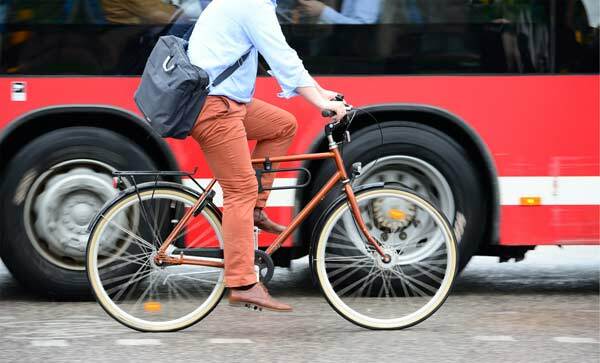 successes in transportation, ensuring that people from all walks of life have the choice of affordable, healthy, and clean mobility; transportation is the stickiest of all sectors, and only a few jurisdictions worldwide that have decisively reversed GHG growth. Instrumental in the shift to clean transportation will be the provision of mobility pricing and other forms of fair and effective cost-based driving. Appropriately deployed transit investment is fundamental to addressing the province’s affordability and climate aspirations. To maximize impact, transit investment must be linked to effective land use planning. Shared mobility is another potential solution—after all, each shared vehicle takes ten privately owned cars off the road. Tax exemptions for car sharing operators and the provision of compact development and complete streets in communities will help to shore up car and bike sharing. The Government of BC should also get ahead of incoming ride hailing services and autonomous vehicles by adopting strict passenger and energy standards for both. Likewise, the Government of BC should enable a provincial cycling strategy, with $35 million per year in funding for all ages and abilities (AAA) infrastructure. It should also facilitate a more cost-effective, and sustainable ferries system with electric/hybrid boats, a share of passenger dedicated services on key routes, and multimodal terminals. B.C. has a profoundly energy intensive building stock that is in inherently linked to compromised affordability and growing social isolation. Half of B.C. homes are single detached–the most energy and carbon intensive housing form. They comprise 90 per cent of residential land. At the same time, the vast majority of neighbourhoods with single detached homes in virtually every B.C. community are hemorrhaging population. The biggest untapped opportunity for addressing affordability, advancing energy conservation, and reducing social isolation is by stimulating innovation in single detached homes to reverse plummeting occupancy. The Government in BC, in coordination with local governments, should incentivize secondary suites and laneway housing. It could do so by providing occupancy-based conservation incentives that would facilitate renovations and retrofits. The province could consider a variety of measures to make new single detached homes ready for secondary suites, including by requiring soundproof and fireproof wall and ceiling assemblies, pre-wired/pre-plumbed for major appliances, and electrical sub-panels. This move would remove significant barriers for owners in providing secondary suites. 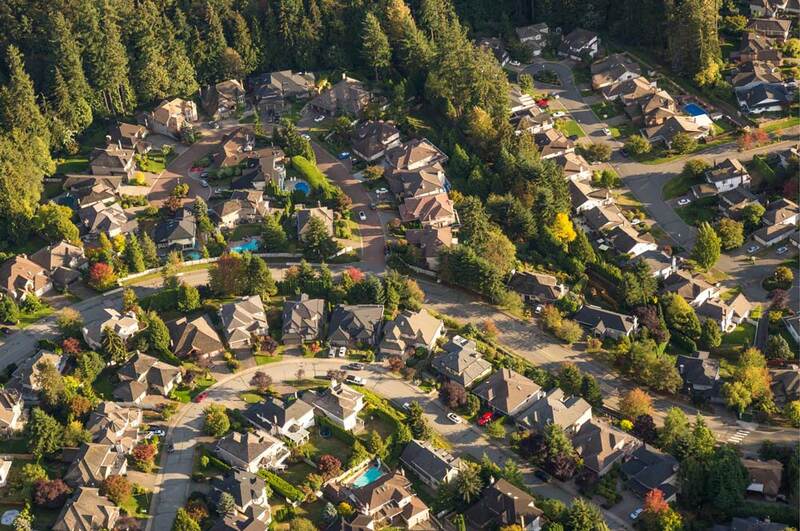 If ten per cent of single detached homes in B.C. took up incentives for secondary suites, 85,000 new affordable housing units could be created and another 85,000 households would have additional income. 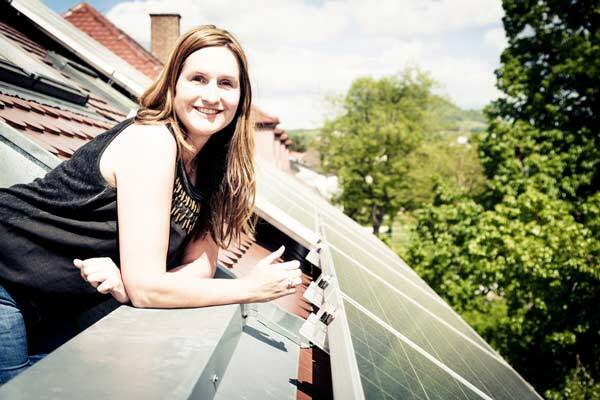 Tens of thousands of solo households could benefit from reduced social isolation, and a quarter million GHGs could be reduced annually. We support a user friendly, accurate, standard energy-labelling program, requiring an accepted energy efficiency rating and disclosing it when the property is listed for sale or rent. The province should develop a new incentive program that would be used for both existing and buildings. The program should include and optimize on-bill financing, which could logically run through BC Hydro and other electricity distributors to minimize administrative costs. The province should build on its exemplary leadership in codes and standards, rooted now in the BC Energy Step Code, which is a leading example, internationally. One of the most important measures to decarbonize new buildings stock would be to establish clear carbon performance objectives within each step of the step code. These could be backstopped by minimum mandatory requirements that are phased in over time. The Government of BC should also increase minimum energy efficiency requirements in the B.C. Building Code in 2022 and 2027 and adopt a new code for existing buildings. With economic development as one of the key planks of the clean growth strategy, we cannot ignore the important role a skilled workforce must play. The province should strengthen education, training and certification for students, professionals, and tradespeople. It could also establish an accreditation for Certified Energy Renovation and Retrofit Professionals and bolster BC Energy Step Code training, which would be targeted to professionals, trades and sub-trades. Wood prefab: British Columbia—with its domestic forestry industry and established leadership in wood building design and construction—has the potential to become a global prefab high performance construction powerhouse. The industry can construct all building types including tall wood, commercial office, multi-family, single detached, laneway, as well as modular homes. Various fiscal tools including can help nurture this industry, including: capital cost allowances, research, development and demonstration (RD&D) support, and public, affordable housing projects. This immense and untapped opportunity would create jobs in forestry communities, and reduce vulnerability to the softwood lumber trade war. Loans and mortgages: The province should investigate the development of government-backed low interest loans. Such an instrument would help to capitalize retrofits and finance the upfront premiums associated with certain technologies or approaches in higher levels of the step code in new construction. Heat pumps: A hundred thousand heat pumps: With virtually all housing GHGs in B.C. coming from heating systems, we suggest a focused program to deploy heat pumps in existing and new homes. Heat pumps should be playing an increasingly important role in new construction for single detached and semi-detached households. Low-interest financing options and training and education could play an important role in supporting the adoption of heat pumps province-wide. 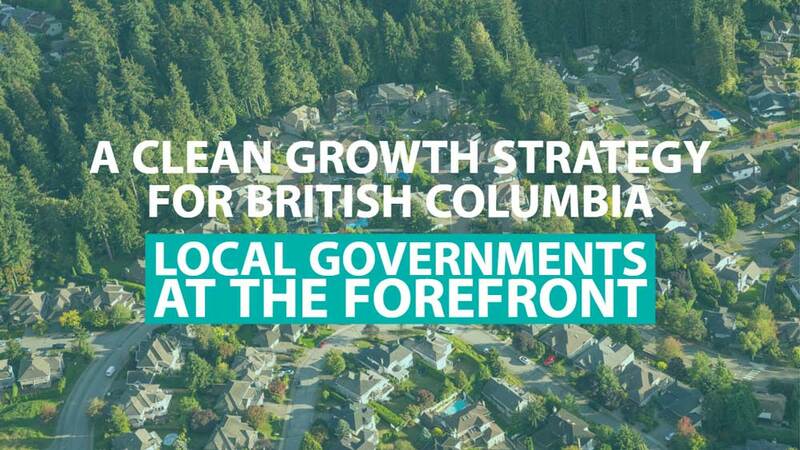 Read about B.C.’s clean growth strategy or see our formal submission here.